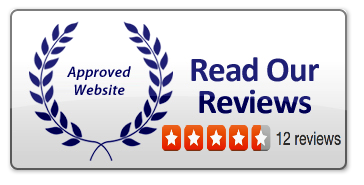 Air Conditioning Excellence, Inc. is helping residents and businesses get high-quality indoor air through a renowned AC Repair Fort Lauderdale FL service. Our wide range of services includes new air conditioning installation, repairs, re-gassing, ducted air conditioning installation and repair, and commercial air conditioning maintenance. There are so many air conditioning companies in Fort Lauderdale that it can be tricky to choose the right one. But when you sign-up with Air Conditioning Excellence, Inc., you can be sure you're getting help from skilled technicians who have gone through a thorough hiring process. Every technician on our staff is trained to handle any kind of HVAC need. What to I Get Out of your Your AC Repair Service Fort Lauderdale FL? Keeping an air conditioning unit up-and-running is an obvious requisite for comfort out here in Broward County, Florida. This is especially true if you're running a business. A cool office or shop is key to having happy customers and employees. But why should you go with Air Conditioning Excellence when there are so many AC contractors out there? Lennox, Trane, York, Carrier, Rheem, Bryant, American Standard, Amana, Westinghouse, Ruud, Day and Night, Samsung, Daikin, Panasonic, Mitsubishi, and Fujitsu. You should also know that we offer our air conditioning services at fixed prices--we won't charge you for extra costs not mentioned in your quote! Get started today! Give us a call at (954) 368-0655 t0 take advantage of our free quotes on new installations! 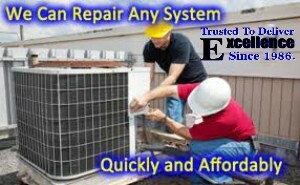 No one does AC repair Fort Lauderdale FL like Air Conditioning Excellence, Inc.
Fort Lauderdale, Pembroke Pines, Hollywood Fl, Hallandale Beach Fl, Dania Beach Fl, Plantation Fl, Weston Fl, Miramar Fl, Boynton Beach Fl, Delray BeachFl, Deerfield Beach Fl, Pompano Beach Fl, Sunrise Fl, Lighthouse Point Fl, Coconut Creek Fl, Coral Springs Fl, Tamarac Fl, Margate Fl, Parkland Fl, Cooper City Fl, Plantation Fl, Davie Fl, Wilton Manors Fl, Lauderdale Lakes Fl.